Last week we explored the surface ruins, Opal Lake and the Opal Lake Fortress at Fedor’s Pass. 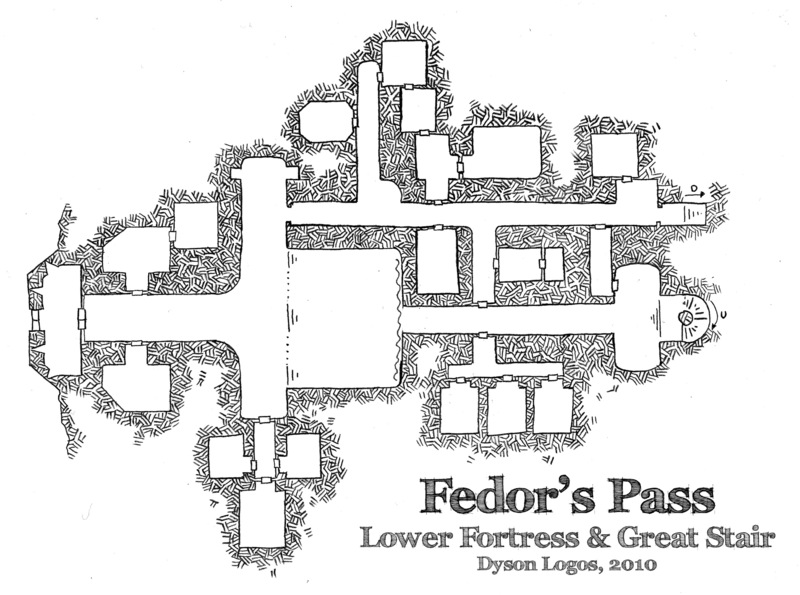 This week we’ll head down to the bottom of the pass where the Lower Fortress is located which in turn links up to the Great Stair. 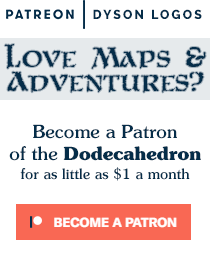 Friday we’ll see the top of the Great Stair as well as the Palace level and I’ll list off some maps from the blog that you can use to fill in the other gaps in the side view. 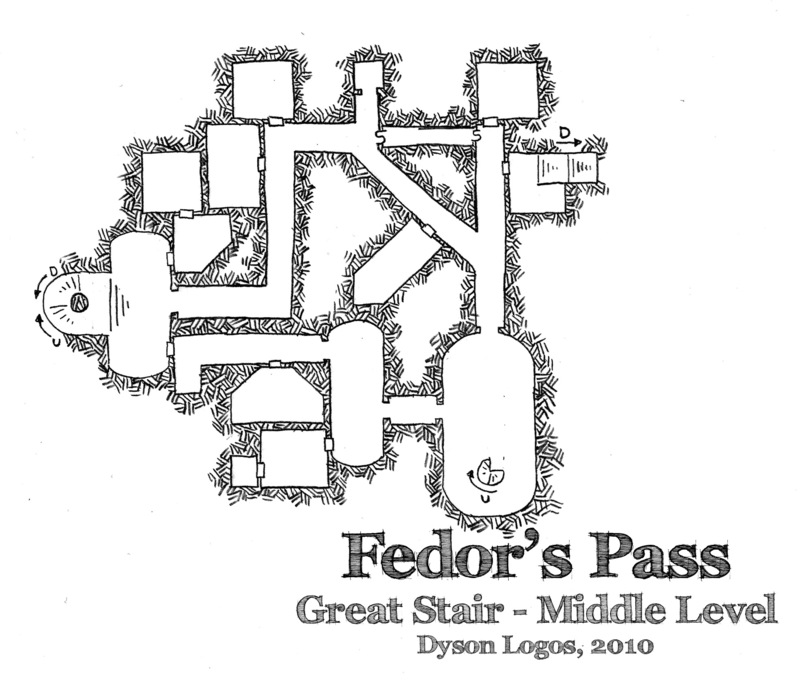 The Lower Fortress abuts directly onto the old road through Fedor’s Pass, and a little of the first room can be seen through ancient arrow slits choked with debris and leaves. However both sets of double doors in the first chamber of the Lower Fortress are sealed with potent magical locks that few know how to bypass, leaving most exploration of the ruins to be done from above. The Lower Fortress features a massive sunken hall/chamber as well as multiple barracks rooms for the original guards who were tasked with defending the pass when the fortress was built. On the eastern edge of the map are two staircases – the northern one leads down to the complex beneath the Palace level (unmapped at this time). The southern stairs are a massive circular staircase that leads up through the pass to the ruins above through several other levels. This level of the Great Stair is fairly small, mostly ancillary chambers related to the attached Palace level and the unmapped and unexplored sub-palace complex. The western access is the Great Stair itself, leading down to the Lower Fortress and up to the upper level of the Great Stair (and then to the ruined tower above). The staircase leading down on the east side of the map leads to the top level of the sub-palace complex, while the spiral staircase in the large ovoid chamber leads up to the Palace Level itself.